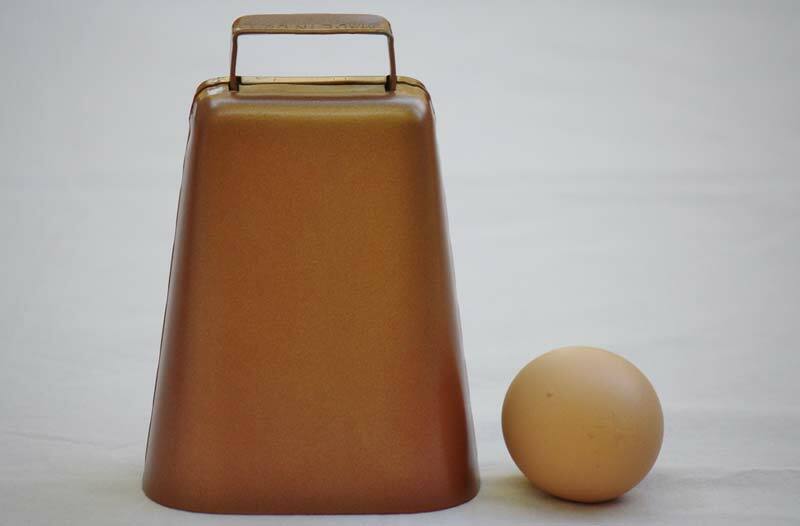 This large cowbell instrument is great for keeping the beat. This simple hand held percussion instrument has a sharp, pleasing ring. Comes with hanging clapper, which can be removed. Drumstick not included.